Quasar is a leading supplier and integrator of advanced energy & power quality monitoring systems, Advanced Distribution Management Systems (ADMS), fortified communications, and intelligent substation security systems. Almost every major power generation, distribution and transmission utility in New Zealand and many of the country's foremost industrial, educational and commercial concerns enjoy the significant benefits of Quasar's three decades of experience in advanced system delivery. Our team include very experienced metering, SCADA and software development engineers, whom utilise their knowledge, experience, and commitment to deliver quality solutions to our customers. We are NZ’s only certified EcoXpert Critical Power ‘Master’ for Schneider Electric’s ION, PowerLogic, and EcoStruxure range of products. Furthermore, we are the certified NZ integrator for Survalent’s SCADA and ADMS software, whilst also being the NZ Distributors for iS5 Communications, Stark MDM, and SWI Video Surveillance products. 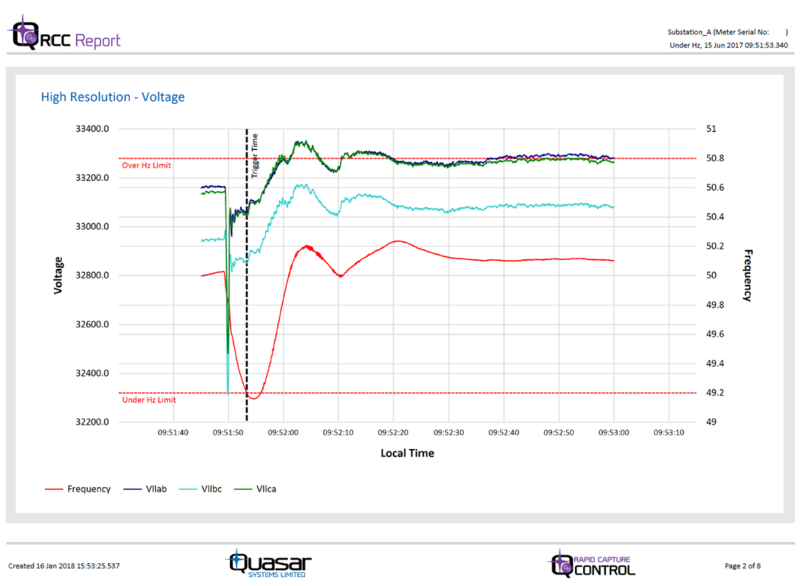 In addition, Quasar have developed the Quasar Control load control software for the both Supply and Demand markets. In conjunction with Schneider we offer a full range of Powerlogic meters. The extensive range stretches from the highly functional ION range of intelligent revenue and power quality meters , through to the basic energy meters for energy monitoring. Energy Management solutions from Schneider configured by Quasar provide the tools that modern businesses need to manage their energy spend. Advanced Distribution Management Systems (ADMS) is our software platform from Survalent that supports the full suite of distribution management and optimisation tools, which includes SCADA, Outage Management System (OMS) and a Distrubtion Management System (DMS). Stark Reality data reconciliation software delivers multi-vendor, automated data collection for utilities. It makes data exchange with corporate IT and the energy trading market for billing, operations and customer information, fast and easy. Our Substation security solutions from SWI provide remote utility locations with intelligent analytics required for true piece of mind. Quasar's System Integration, Rapid Capture and Control (RCC), Meter Based Aggregation and Managed System Support are innovative solutions focused on 'Delivering Intelligent Data'. Quasar have developed powerful software solutions that provide intelligent control of electrical systems, so when you have variable energy rates you can efficiently control your energy spend. All our offers can be united together on iS5com's fortified communications products to perform when it counts. Our dynamic team is made up of energetic, highly motivated people dedicated to delivering intelligent data to our customers. Our engineers include factory-qualified SCADA system integrators & trained ION Administrators and have over 100 years combined industry experience. To be respected innovators of integrated solutions delivering intelligent data for energy quality, management and control. ​We strive to meet our Company Vision by executing our mission and by living up to our values which we call the Quasar DNA. We continue to build on over three decades of technical innovation providing world quality hardware and software. We are continually evolving with technology to meet the industry and our customer needs. We align ourselves with partners whose business philosophy compliments ours, enabling us to meet our Vision, Missions and goals.